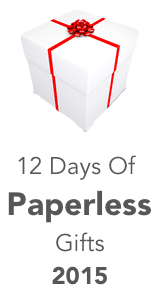 This is Day 6 in a 12 Post series: 12 Days Of Paperless Gifts. If you know someone who could use some help going paperless, or if you’d like to drop some hints, this series is for you. Don’t worry, the regular DocumentSnap tips will still be flowing. The holy grail of going paperless is being able to access the document that you need right when you need it, regardless of where you are. However, many of us don’t feel comfortable storing our information on some company’s servers, no matter how good they say their security is. That’s where personal cloud storage comes in. These devices let you access your documents or other files from anywhere, but your information stays on a device that you control. Who is it for? 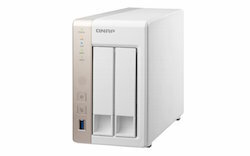 : Home or small office users who want expandable and redundant storage, with lots of apps and functionality. What does it do? : The DS214 is a Network Attached Storage (NAS) which means you can put files of any type on it, and access them via the network and beyond. You buy and put in 2 drives and you have redundant storage in case one of them fails. There are also all sorts of apps that can run on it, and has an easy(ish) to use GUI. How much storage? : You can add up to 2 4 TB hard drives. Who is it for? : Home users who want a fast NAS with an HDMI port. What does it do? : The TS–251 is a Network Attached Storage (NAS) which means you can put files of any type on it, and access them via the network and beyond. You buy and put in 2 drives and you have redundant storage in case one of them fails. There are also all sorts of apps that can run on it, and it has an HDMI port if you want to use it for a media server. Who is it for? : Anyone that wants to store files on an external hard drive but access it from outside the home or office. What does it do? : You can backup or store your documents on the drive, and then access them from a PC, Mac, tablet, or smartphone. 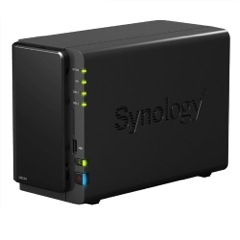 It’s an easier introduction to network storage compared to the Synology or QNAP. How big is it? : 5.5 x 1.9 x 6.7 inches. How much storage? 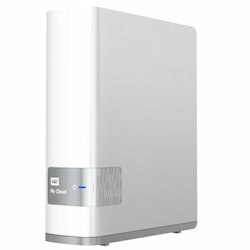 : You can buy it with 2, 3, 4, or 6 TB.